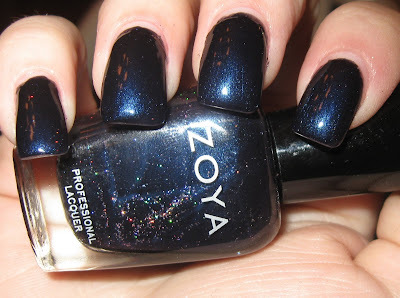 We're one-third of the way through the 30 Days of Zoya Challenge! Can you believe it? I can't. For Day 10, you all voted in Zoya Indigo. Poor Tao... always the bridesmaid, never the bride. 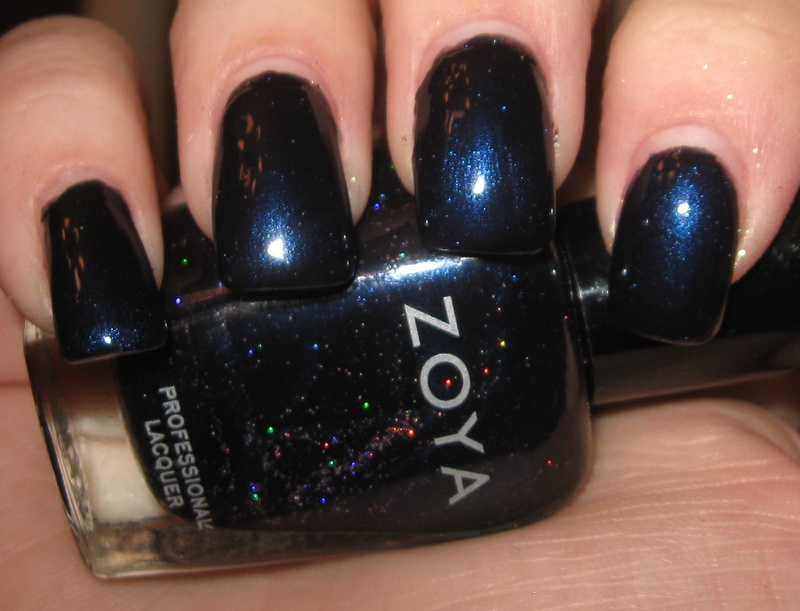 Zoya Indigo is absolutely gorgeous in the bottle, a deep royal blue with rainbow sparkles. Personally, I'm a sucker for a rich blue, but don't wear them too often due to the difficulty in removal from my nails. Blech, stains! Even in the shade, indoors... the depth of the color comes through. Now, I love the idea of these specks of rainbow glitter in the polish, a la Essie Starry Night. But I was slightly disappointed that it didn't show up much on my nails. Even with a sparkle shot here, you can see that there is only a small smattering of the glitter on the nail. It's really a great shade, but it left me wanting a little more. But tomorrow, there will be no want for glitter! More specifically, gold glitter! So choose from Yara, Neeka, and Reva, which all feature gorgeous gold glass flecks! And my vote for tomorrow is Neeka! I must be in a red mood - I am feeling Reva! Really not into dark blues, but I love the sparkle in it. Neeka for tomorrow.